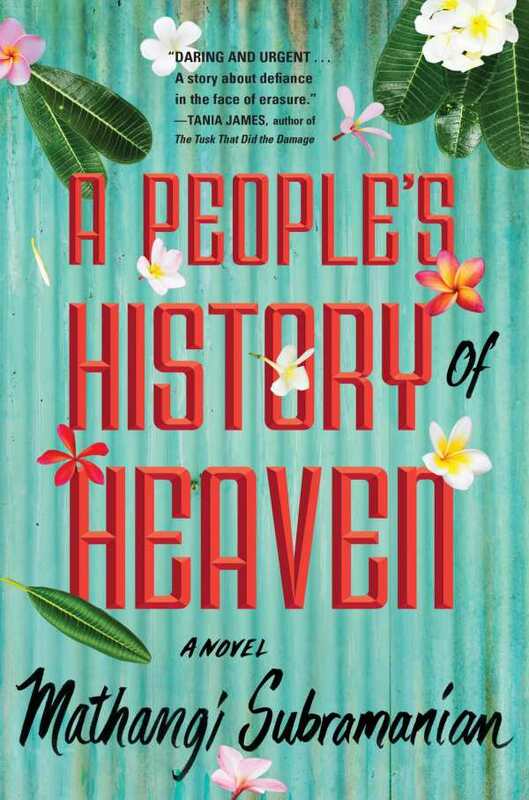 Full of “girls who don’t apologize for who they are,” Mathangi Subramanian’s A People’s History of Heaven proves heaven isn’t about a distant perfection. Here, Heaven is a Bangalore slum where people are bound together by their desperate vivacity, facing problems that might otherwise be swept aside. Nominally about five girls––Banu, Deepa, Joy, Rukshana, and Padma––the novel is also the story of their community. Heaven is a crossroads where assumed axes of difference are abolished by poverty. Muslim, Hindu, Christian, high or low caste, queer or straight, educated or illiterate, cis- or transgender, the people of Heaven belong to more than these categories; they belong to each other. But their community is scheduled for demolition. The novel centers on lives defined by femaleness and the ways individuals can find or break themselves against the locks that designation provides. Early on, these “girls learn that life owes us nothing, that womanhood is a spectrum of nuisances, heartbreak, and tragedies.” Nonetheless, they fight for futures and everyday adventures. Spending time with this fearsome five is also just plain fun. Slum life is never romanticized. The narrator, an unnamed member of the girls’ inner circle, delivers enough cynical wisdom and pithy commentary to show just how wise these girls are to their plight without dismissing how insidious cultural messages are. What crystalizes is the sure knowledge that none of them are powerless. Rather, their resources are constantly funneled into the task of surviving an apathetic system, which increases the likelihood they won’t escape the system’s constraints.